When I finally got the tickets for the Sunnylands tour that I posted about the last two Sundays, I decided that even if I was doing a short trip to Palm Springs, I should add something else to the travel agenda. 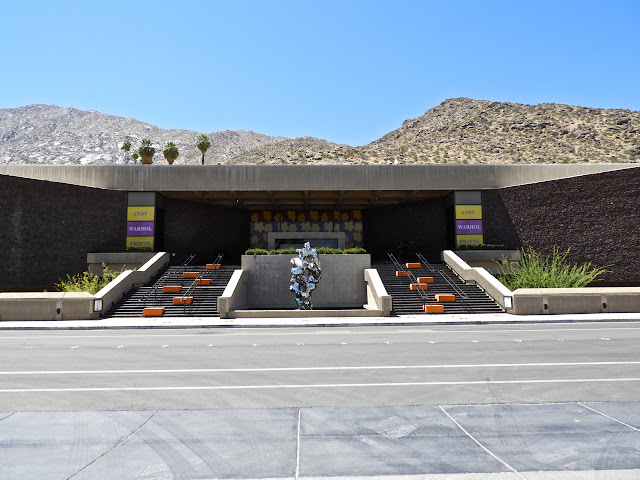 I saw online that the Palm Springs Art Museum looked like a great place to visit so, that is where we went when we arrived in the city. The building is a sleek modern building that sits snuggly against the mountains behind it. The inside has a wide open feel when you enter with smaller exhibit rooms located to the sides. 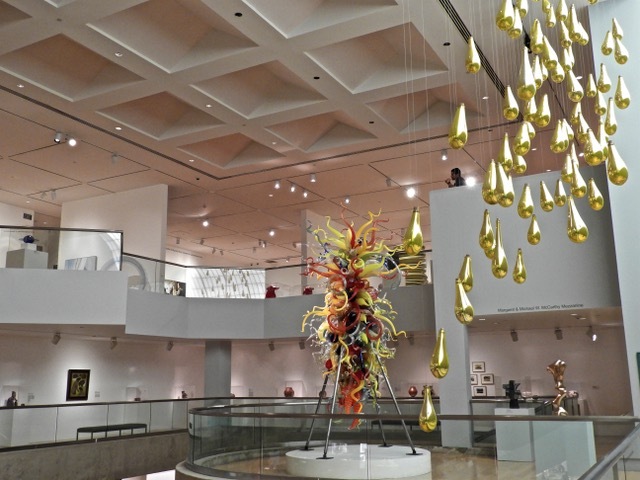 The museum has a beautiful Chihuly sculpture that sits on a perch above the main lobby area and I love those golden tear-drops hanging from the ceiling. 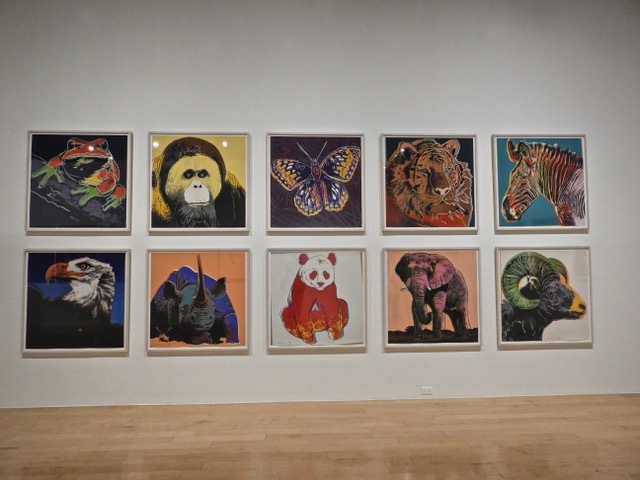 What caught my eye when I researched the museum online was that they had an Andy Warhol exhibit going on. 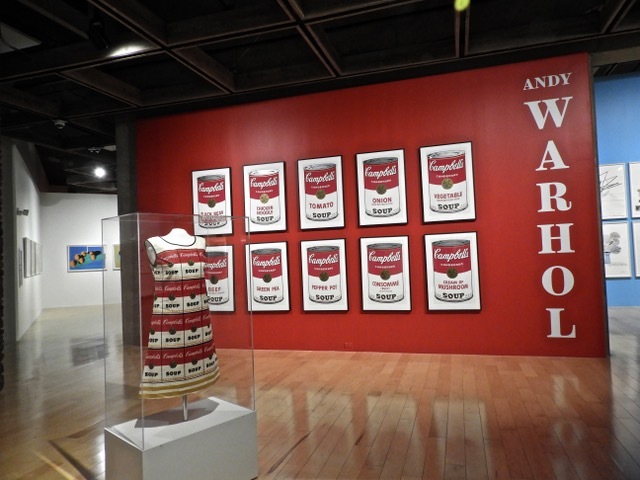 I have to say, it was the very best Warhol exhibit I've ever seen. The range of works was astounding with many pieces I've never seen before. 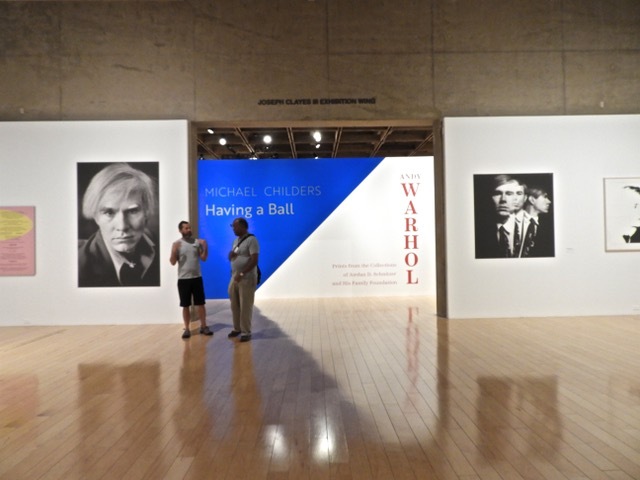 There was even a great video playing with interviews by some of the many people Warhol worked with and partied with. 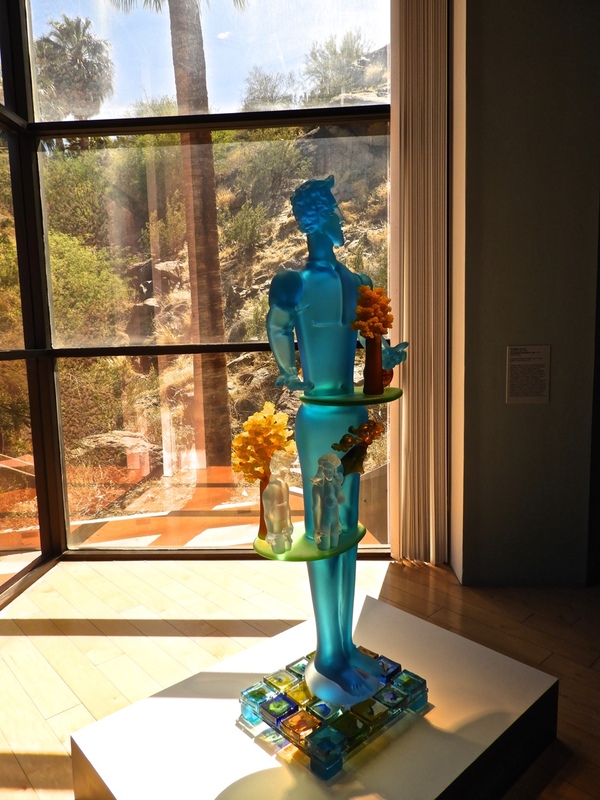 One of the other things that appealed to me when I read about the museum online was their Kaplan/Ostergaard Glass Center where they displayed a vast array of artworks all created in glass. The piece to the left simply mesmerized me. 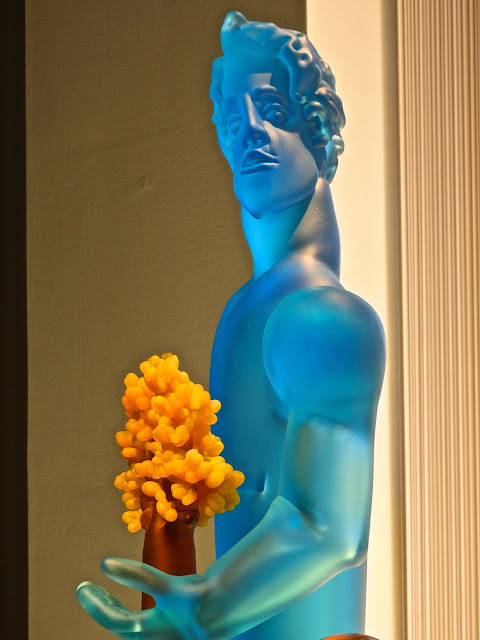 It is made of blown glass with oil paint by American artist Oben Abright. It is so realistic, I thought he'd start talking to me. One of the other pieces that intrigued me was this one by Richard Jolley. It's called Translating Substance #30. This one was very difficult to photograph because of it's location against a brightly lit window. A flash would have helped but of course, flash is not allowed inside a museum. So I settled for this close-up shot taken from the side. 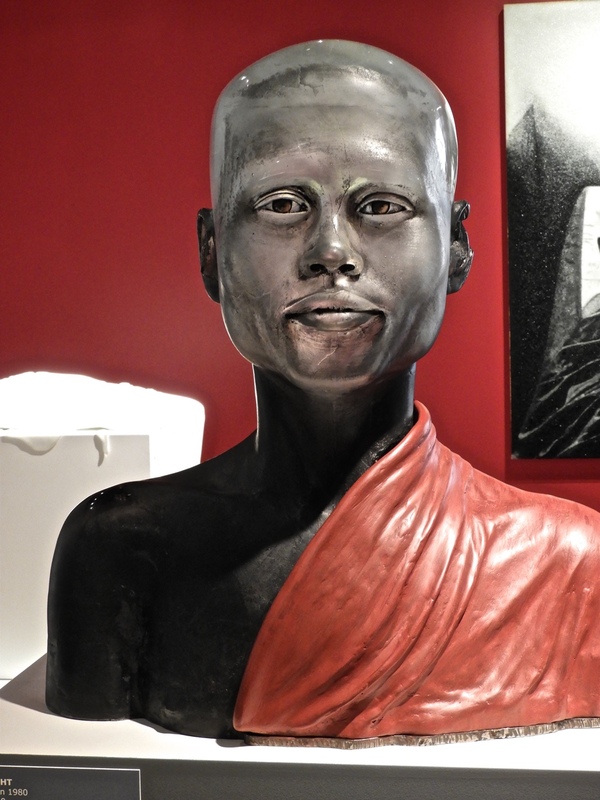 It misses some of the colorful objects surrounding the life-sized glass model but you can see the facial features. 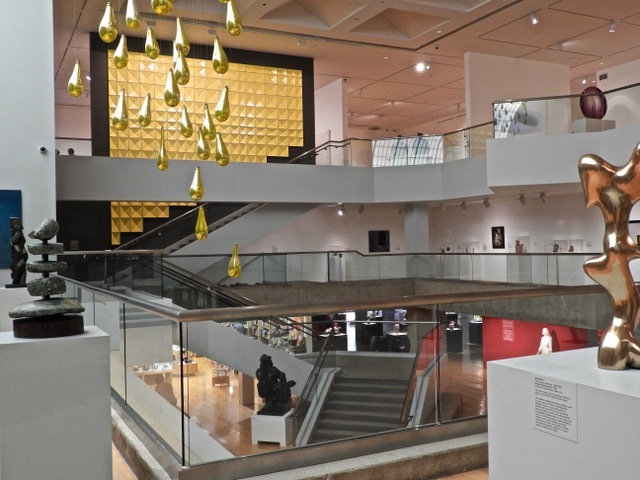 Every glass object in this gallery was worthy of a second look. There were some truly brilliant pieces. I was very impressed by this spectacular art museum. If I find myself in Palm Springs again, I will certainly stop by for another visit. I thought Palm Springs was all about golf and golf courses and here you've gone and ruined the picture in my mind. But that's OK 'cause this is a beautiful place and I would have enjoyed the Warhol exhibition, also. 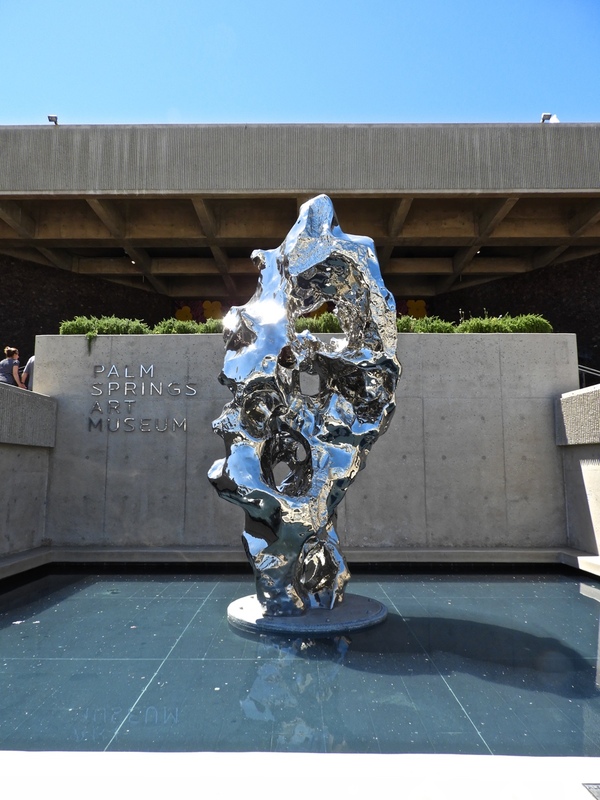 What's that sleek steely piece in front of the museum? The Jolley one particularly speaks to me.